Within seconds, the joys of outdoor grilling can go up in smoke. A recent ABC News video shows how quick a home can be engulfed in flames when grilling goes wrong. It’s quicker than you can say “make mine a cheeseburger”. In one scene, the top blows off the grill after lighting a burner that was left on while the lid was closed, burning the outdoor chef. Summertime means backyard grilling will fill backyards with the tantalizing smells of barbecuing. Families and friends will gather around gas and charcoal grills to prepare burgers, steaks, chicken, ribs and other grilling favorites. Just the thought teases the senses and whets the appetite. But as your residents grill using open flame, the property and its inhabitants can become at risk. 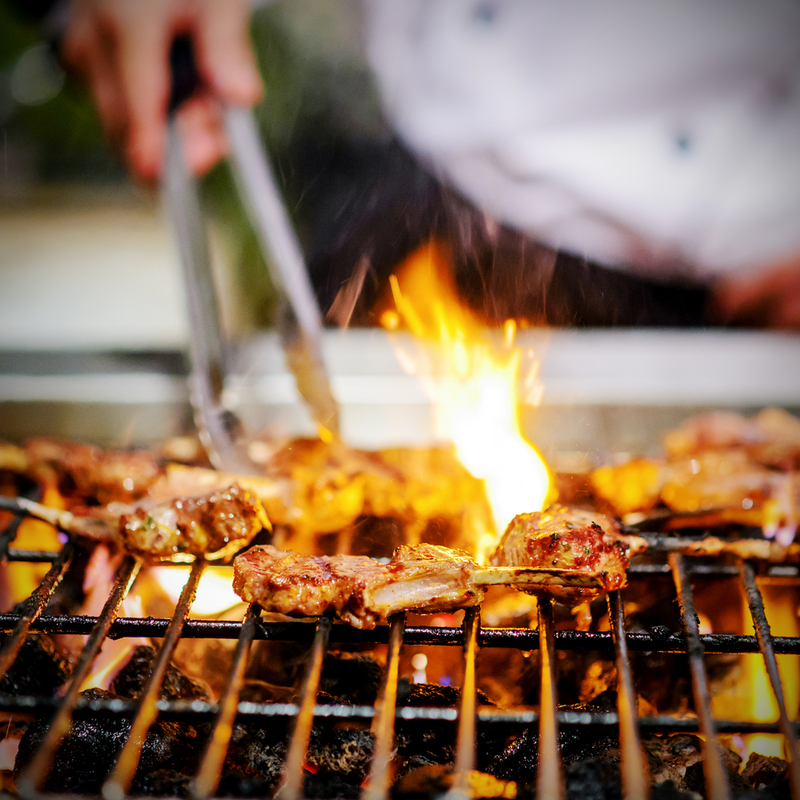 Each year, grilling mishaps cause more than 8,300 fires and send 3,000 people to the emergency room, says Underwriters Laboratories. According to the U.S. Fire Administration, grill fires cause an estimated $37 million in property loss each year. Almost half of home grill fires happen from 5-8 p.m., and most occur from May to August. Patios, terraces, screened-in porches and courtyards are prime spots where fires occur. Most grill fires involve gas grills. 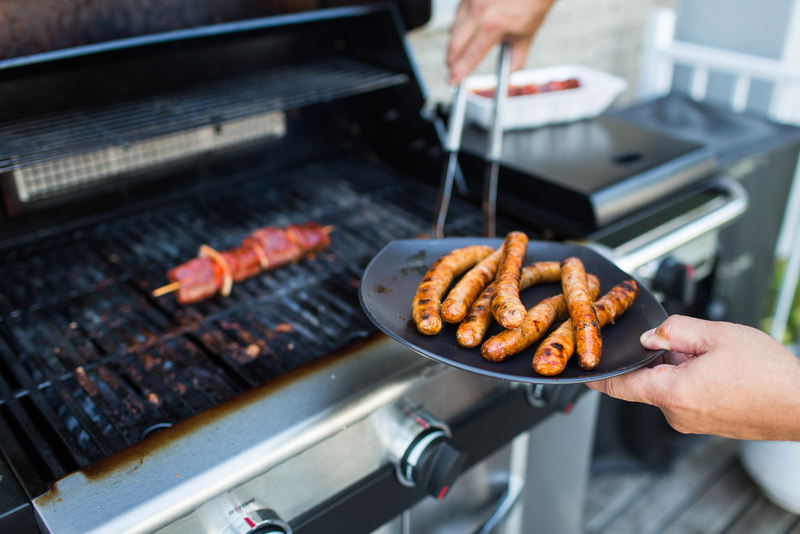 On gas grills, check the major connection points between the gas (propane) tank hose and the regulator and cylinder, and where the hose connects to the burners. Tighten if loose. Also, check the gas (propane) tank hose for the potential gas leaks. To do that, turn the propane tank on. Apply a light soap and water solution to the hose using a brush or spray bottle. If there is a gas leak, the propane will release bubbles around the hose, which will be big enough to see. Once you’ve determined your grill has a gas leak (either by smell or by administering the soapy bubble test) and there is no flame, turn off the gas tank and burners. If the leak stops at that point, get the grill serviced by a professional before using it again. If the leak doesn’t stop, call the fire department immediately. Keep grills a safe distance from structures. Never grill indoors or near garages, even if it’s raining. Move the grill a safe distance away from structures. Position grills well away from house siding, deck railings and out from under eaves. Keep in mind that grills should be at least 10 feet away from combustible structures. Grill fires can happen in a matter of seconds. In 2010, one outdoor griller left the grill unattended for two minutes and came back to a fire hazard. White-hot fireballs were shooting from the grill, causing burns on the griller’s legs. Make sure grills are clean by removing grease or fat buildup from the grill surface and from drip trays. Use extreme caution with lighter fluid and other volatile fuels. Do not add fuel to an already lit fire- the flame can flash up into the container and explode. 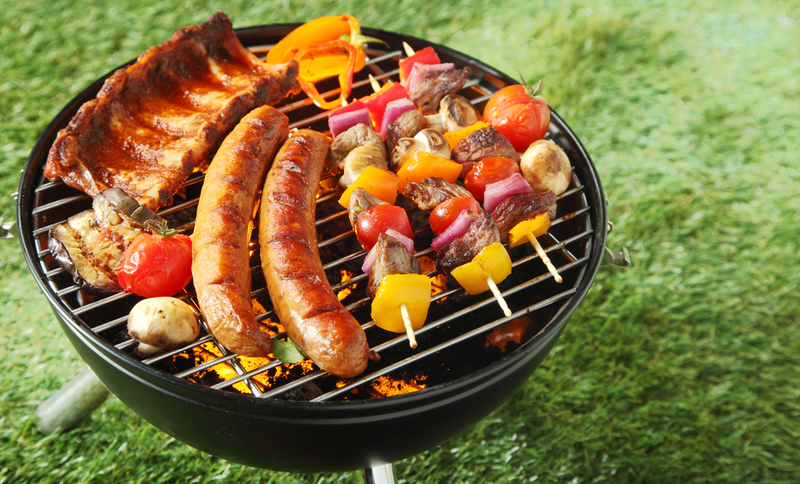 When lighting a gas grill, always keep the lid open to prevent a flash fire from gas build-up. Remember to Stop, Drop and Roll if clothing catches on fire. In the event that flames get out of control, be prepared to extinguish them immediately. Just a few squirts of water from a spray bottle or knowing how to use a fire extinguisher can help handle flare-ups and keep barbecue mishaps from getting out of hand. 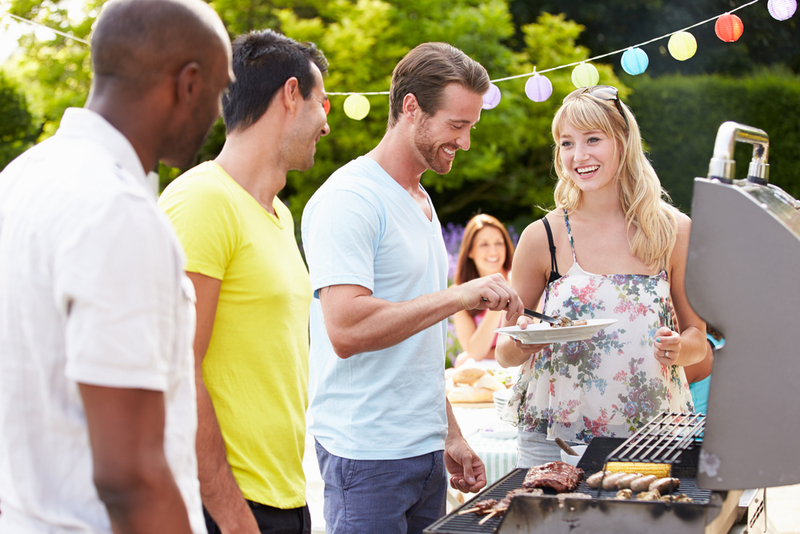 Take the time to educate your residents on grilling safely this summer. A safe grilling experience is not only more enjoyable for backyard family and friends, but also healthy for your property!